If you are thinking of putting your residential, commercial or industrial property up for sale, see us first before you do or sign anything. Before you even consider engaging an estate agent let us explore with you how you might be able to effect a successful sale without having to pay some agent a mega-commission. Might a nearby neighbour be a possible buyer? How about workmates, friends and family members? Might someone so close be interested if they knew you were going to sell your property? Nevertheless, if you exhaust the above possibilities or don’t want to go that way, you should see us first before you sign anything with a real estate agent. Invariably the so-called ‘standard’ forms which agents will want you to sign are essentially agent-friendly documents loaded with cunning clauses that are not at all in your interests. Let us check out the agent’s paperwork, explain the implications of what your agents wants to bind you to, then let us cross out the offensive and obnoxious terms before adding our own seller-protective clauses. After that you must still not sign anything put to you by your agent until we have vetted it for you. Commission disputes are our specialty. 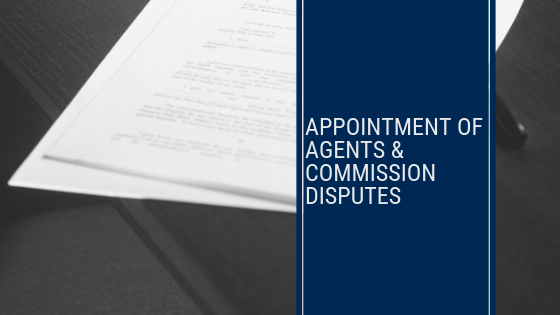 If an agent is claiming commission on a sale the agent did not make, or if two agents are both wanting commission as the ‘effective clause’ of the one sale, you are in deep trouble. But we’ve seen it all before, and know intimately both the loopholes and defences available to you as well as the consumer-protective obligations with which agents must strictly comply. Get in touch with us fast. Tell the agent/s Tim O’Dwyer is alive and well here at Mitchells, and is now on your side. Watch their faces!